This is my birthstone May. will order it soon. I bought this and it is so beautiful, I ordered the wrong size but a friend of mine loved it so much she bought it from me so I could order the right size for myself! 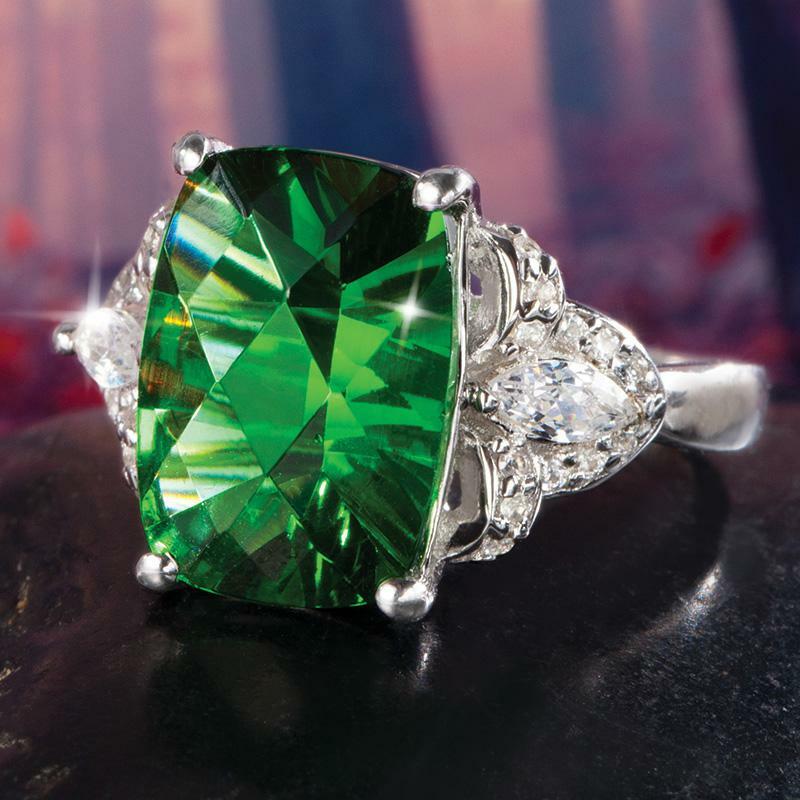 I purchased this beautiful ring and was stunned at its beauty when I opened the package The stone is truly an amazing green and so were the earrings. I'm very pleased with my purchase. A special birthday gift for a special daughter at 23. An elegant adornment to compliment her natural elegance. Love it! Serendipity-means a fortunate discovery by accident. This is what this stunning ring is. The Helenite stone is manmade by accident and fortunate for anyone who purchases this beautiful ring. It looks just like the picture! This ring is amazing! I ordered a size 7 since half sizes are not available. As expected, I need it sized down to 6 1/2. When I took it to the jeweler, she oooh'd and ahhhhh'd, just as I did when I opened the box. I love it! It is also sentimental since I lived in Washington State for many years, and have visited Mt St Helens. 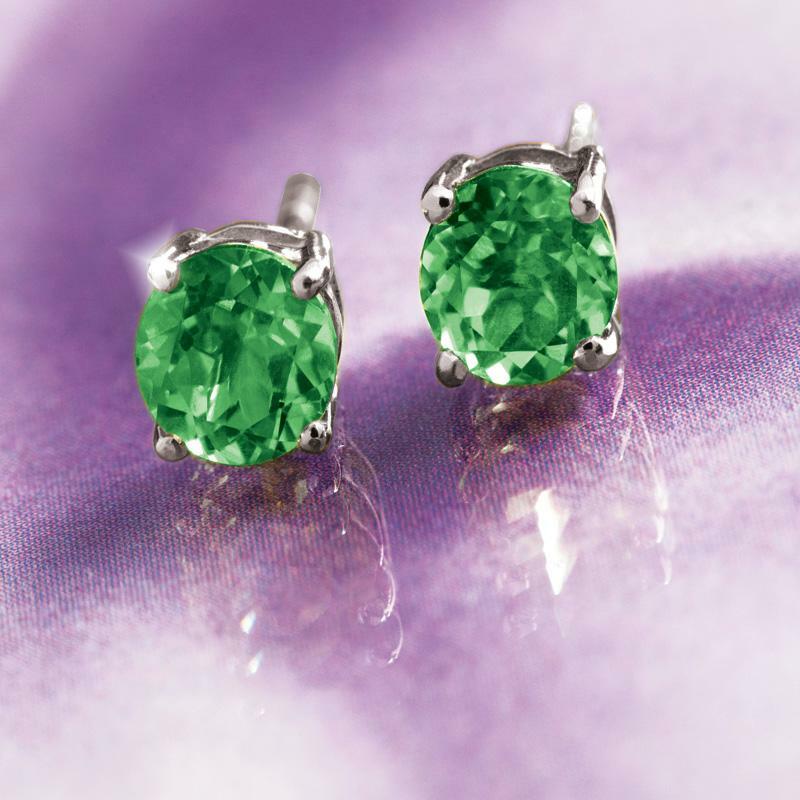 Man and nature collaborate to create these glamorous green beauties guaranteed to rock her world! 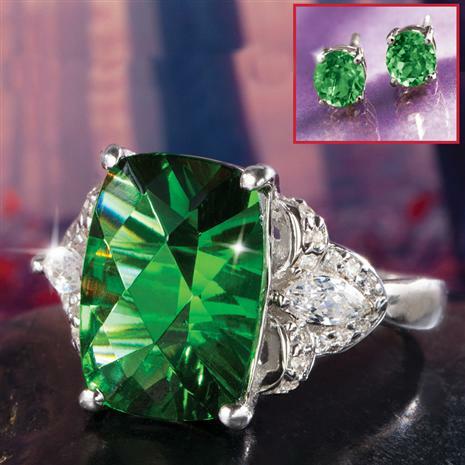 Our new Spirit Lake Helenite Ring & Earrings Set reverberates with a remarkable green fire that can become mesmerizing. Each centerpiece displays a color and clarity that rivals some of history's greatest gems. You can blame the unique, concave cut for the extra brilliance. Expertly polished facets don't let a single ray of light go to waste. And the .925 sterling silver shoulders are loaded with brilliant white, lab-created DiamondAura®. Our Spirit Lake Helenite Collection honors the raw power of nature, and the glorious spirit of rejuvenation.